Magyar Telekom is the principal provider of fixed line telecommunications services in Hungary, with approximately 1.8 million fixed voice access lines as March 31, 2012. We are also Hungary’s largest mobile telecommunications services provider, with almost 5.3 million mobile subscribers as of March 31, 2012. We provide fixed line and mobile telecommunications, Internet and TV products and services for consumers and infocommunication (ICT) solutions for business and corporate customers. In 2010, Magyar Telekom has entered the retail energy market offering electricity and gas services to its customers. corporate services provided to large corporate customers and public sector (T-Systems brand). Under the corporate ’T’ brand are comprised Magyar Telekom’s employer and HR, financial and investor relations, legal and corporate affairs, sustainability and corporate responsibility, innovation and business development, technology and networks activities. Magyar Telekom’s subsidiary companies operating in Hungary are managing ICT, content, media and other, non-access services provided under various brands. Through our majority owned international subsidiaries, we are also the principal telecommunications service provider in Macedonia and Montenegro and alternative service provider in Bulgaria and Romania. Magyar Telekom Plc is a limited liability stock corporation incorporated and operating under the laws of Hungary. Our ordinary shares are listed on the Budapest Stock Exchange and the company also maintains a program with American Depositary Shares (ADSs) traded on OTC markets. Magyar Telekom’s majority shareholder (59.21%) is MagyarCom Holding, fully owned by Deutsche Telekom AG. Our headquarters is located at 55 Krisztina krt., 1013 Budapest, Hungary. 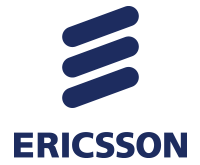 Ericsson is the world's leading provider of communications technology and services. We are enabling the Networked Society with efficient real-time solutions that allow us all to study, work and live our lives more freely, in sustainable societies around the world. Our offering comprises services, software and infrastructure within Information and Communications Technology for telecom operators and other industries. Communication is changing the way we live and work. Ericsson plays a key role in this evolution, using innovation to empower people, business and society. We provide communications networks, telecom services and multimedia solutions, making it easier for people all over the globe to communicate. Broadband networks are society’s new communication highways – vital infrastructure which we nowadays take for granted. Just as telephony did, broadband is now going mobile and becoming affordable for more people. Around the world, people are getting equal access to realtime information, wherever they are and whenever they want. There are few inventions that have had such a profound effect on the lives of so many. In the future, not just people and places will be connected, but also things. Anything that can benefit from being connected will be connected. In 2020, we envision 50 billion connected devices for many applications, such as the control of power consumption in our homes and remote health monitoring of patients. Ericsson supports its customers in the convergence of fixed and mobile networks. For users, this means enabling the same broadband services on any screen. For operators it enables efficient handling of applications, services and subscribers. Since 1976, National Instruments (http://www.ni.com/sdr/) has equipped engineers and scientists with tools that accelerate productivity, innovation and discovery. NI’s graphical system design approach provides an integrated software and hardware platform, speeding the development of any system needing measurement and control. Engineers and scientists use this platform from design to production in multiple industries, advanced research, and academia. NI ensures customer success with an ecosystem of services, support and more than 700 Alliance Partners worldwide. The company’s long-term vision and focus on improving society through its technology also enables the success of its employees, suppliers and shareholders. With graphical programming software and modular, open hardware, NI has redefined how engineers work throughout the entire product design cycle, resulting in reduced time to marketing and lower development costs. Headquartered in Austin, Texas, NI has over 6 800 employees with direct operations in over 40 countries. The company sells products to more than 35,000 companies in 90 countries. In 2011 National Instruments was ranked number 18 in the World's Best Multinational Workplaces List. In 2013 for the fourteenth consecutive year, FORTUNE Magazine named National Instruments to the publication’s annual list of the 100 Best Companies to Work For. NI ranks #35 on this year’s list. BEEcube’s All Programmable Platforms are the most advanced approach to the research and development of new technologies for wired and wireless communications. Companies and universities are creating the next generation of wireless communications using our commercial off-the-shelf (COTS) platforms: from early algorithm exploration with Simulink, to real-time prototyping, to the deployment of complete working solutions. At the core of BEEcube’s technology are FPGAs, multi-Gigabit per second digital and analog interfaces, and the tools for coding and debugging your most demanding communications applications. BEEcube products include All Programmable Rack Servers like the BEE4, All Programmable ATCA blades like the BEE7, the flexible and affordable miniBEE “R&D in a Box”, and a large family of mixed-signal FMC cards for LTE-Advanced, WLAN, E-band, radar, and SDR applications. Cisco (NASDAQ: CSCO) enables people to make powerful connections-whether in business, education, philanthropy, or creativity. Cisco hardware, software, and service offerings are used to create the Internet solutions that make networks possible-providing easy access to information anywhere, at any time. Cisco was founded in 1984 by a small group of computer scientists from Stanford University. Since the company’s inception, Cisco engineers have been leaders in the development of Internet Protocol (IP)-based networking technologies. Today, with more than 65,225 employees worldwide, this tradition of innovation continues with industry-leading products and solutions in the company’s core development areas of routing and switching, as well as in advanced technologies such as: Consumer Networking, Networking, Security, Unified Communication, Telepresence, Collaboration, Data Center, Virtualization, Unified Computing Systems. As the world's premier measurement company, Agilent offers the broadest range of innovative measurement solutions in the industry. Agilent electronic test instruments help wireless equipment manufacturers achieve the overall quality of the user experience. Agilent products are used across the development lifecycle of computers and semiconductors, from parametric test of semiconductor wafers, to functional and production test of printed circuits boards, to the final test of computer systems to ensure proper performance. Agilent EEsof EDA is the leading supplier of Electronic Design Automation (EDA) software for communications product design. The Department of Telecommunications and Media Informatics of the Faculty of Electrical Engineering and Informatics of the Budapest University of Technology and Economics (BME-TMIT) was established in 1949 and renamed into present form in 2003. The education and research activity of the department is focused on infocommunication systems, particularly up-to-date IP-based networks and services, as well as media information systems, particularly multimedia, multimodal and cognitive information systems and applications, embracing both technological and management issues, as well as the related basic sciences. The department is mainly involved in the majors of Electrical Engineering and Computer Engineering, undertakes an outstanding share in the PhD education. Visit Elsevier’s booth to meet our publishers in Computer Science, discuss with them your publishing experience and requirements and find out more about publishing your articles with Elsevier. Elsevier is a leading international publisher of Computer Science journals, books and electronic products. Elsevier is also a founding publisher of global programs that provide free or low-cost access to science and health information in the developing world. IS-Wireless is a Warsaw-based LTE/LTE-Advanced IPR provider and software developer specializing in OFDM/OFDMA radio interfaces. Our portfolio includes implementations of PHY layers for 3GPP LTE and mobile WiMAX and tools for radio interface analysis. This is complemented by a set of design services and technical courses targeted mainly at 4G operators, manufacturers and R&D institutions. From September 2012 IS-Wireless participates in an international consortium 5GNOW, acting under the EU FP7 and aiming at the development of the concept of radio interface for 5G systems. Come and browse more than 68 key titles. Get 20% off print books and eBooks – and learn about MyCopy (a printed eBook for $/€ 24.99). The 2013 IEEE Global Communications Conference (GLOBECOM) will be held in Atlanta, GA at the Hilton Hotel, in the heart of downtown’s finest eating and tourism establishments. Please join us December 9th through December 13th for an unforgettable conference experience. GLOBECOM 2013 will offer cutting edge communications technology symposia, forums, panel discussions, tutorials, workshops, industry exhibits and renowned industry CEOs & CTOs in panel sessions and keynote speeches. And be sure to schedule some time for yourself and your loved ones to experience many of the nearby family-friendly attractions, such as the largest indoor aquarium in the US, numerous museums for art, history, and science (and Coca Cola, of course! ), as well as one of the finest restaurant scenes in North America. The 2014 IEEE International Conference on Communications (ICC) will be held in Sydney, Australia, 16-20 June 2014. The venue of the conference is at the heart of the city, only a walking distance from the key attractions of Sydney, including the Centrepoint Tower, the Harbour Bridge and the Opera House. The theme of this conference for 2014 is “Communications: The Centrepoint of Digital Economy”. The conference will feature a comprehensive technical program including twelve Symposia and a number of Tutorials and Workshops. IEEE ICC 2014 will also include an attractive expo program including keynote speakers, and Industry Forum & Exhibitions. Austin is proud to be hosting The IEEE Communications Societies' GLOBECOM Conference in the heart of Silicon Hills (technology corridor of the Southwest), from Dec 8 thru 12, 2014 at the Austin Hilton Hotel Complex. GLOBECOM 2014 will offer the latest technology research for the technical community along with an innovative program for industry management and engineers. Austin has a great music scene, nightlife, weather, and the conference will be held right in the heart of the most vibrant downtown in the southern United States, and one of America's fastest growing, youngest, and most desirable cities. We look forward to seeing you in Austin. 2015 IEEE International Conference on Communications (ICC2015) will be hosted in June 2015 in ExCel London, the largest convention centre in the United Kingdom. London is the largest metropolitan area in the United Kingdom and the largest urban zone in the European Union. It is a leading global city, with strengths in the arts, commerce, education, entertainment, fashion, finance, healthcare, media, professional services, research and development, tourism and transport. London has become the first city to host the Summer Olympics three times. Please contact the Executive Chairman: Professor Jiangzhou Wang at University of Kent (j.z.wang@kent.ac.uk).